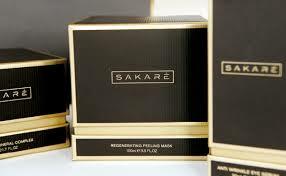 Sakare and Sacara are trademarks that are co-pending and are confusingly similar so a competing marks procedure was instituted under Section 29 of the Trademark Ordinance. Both companies filed their confusingly similar trademarks for their confusingly similar brands selling confusingly similar products at around the same time, and a competing marks procedure was initiated. Sacara submitted a statement from a branding expert that testified to when he conceived and suggested the name. Soap & Co. UK LTD filed a submission on 9 July 2014 to have the expert testimony submitted by Sacara LTD struck from the record! 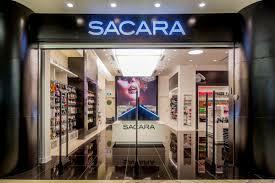 On 24 July 2014 Sacara LTD responded and on 31 July 2014, Soap and Co. filed a response to the response. This is an intermediate ruling that relates to the request to strike the Statement. On 30 March 2014 Gidi Adar who is a branding specialist prepared a statement for Sacara. During cross-examination he claimed that the statement was prepared on 27 December 2012. 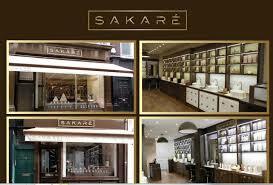 The statement claims that Adar offered Sacara LTD a list of 17 names. On 30 March 2014 at the end of the hearing the parties agreed that the question to be considered was when Adar first prepared the list and the parties would agree on an expert to determine when the computer file was created. On 15 May 2014 Sacara noted that the sides were unable to agree on an expert to collaborate when the file was created and that Adar’s statement would be acceptable but that Soap and Co. could cross-examine him on it. Adar stressed that for the sake of clarity and for the record, the term file indicates the digital file containing document appended to the witness statement. On 28 May 2014 in a hearing, Deputy Commissioner Bracha gave Soap and Co. (Sakare) 30 days to submit an expert testimony and Adar could be present whilst the file was examined. On 6 July 2014 Soap and Co. filed an opinion by Mr Yoav Zilberstein who is a forensic computer recompiling specialist. The specialist determined that the file was created on 23 December 2012 and that a second file with a similar name was created on 19 February 2012. Although Sacara claims that the sides agreed that both files were authentic, the Sakare withdrew from this position. On 9 July 2014, Sakare requested that the expert testimony be voided as the file contained 15 names instead of 17 and the wrong date. Additional files examined constituted and illegitimate widening of the issues. Sacara claims that Mr Zilbersten’s job was to determine when the file was created and he did this as requested and there was no widening of the issues. Reviewing Mr Zilberstein’s statement indicated that although he claimed to be addressing wider issues in his investigation he actually addressed the issue in question, i.e. when the file was created. The predetermined agreed scope of his research did not take into account that two files with the same name would be uncovered. Ms Bracha ruled that the Expert Statement did not exceed that agreed and did answer the question. She found additional support in Issues of Civil Procedure p 145, 11th edition, 2013. Furthermore representatives of both parties were there when Mr Zilberstein did his investigation. As to the list only having 15 and not 17 names, whilst the file did no include Glossy24 and Gloss24, it did include the name Sacara, so the testimony did show that the name Sacara was considered in December 2014. Then again, the appended list was from a file not in the computer. Although the parties are not in agreement as to the authenticity of the files, Ms Bracha felt that the evidence could be included as something contentious rather than as agreed evidence and both parties could relate to it later. Ms Jacqueline Bracha therefore rejected the request to cancel the expert opinion but ruled that the applicant is allowed to cross-examine the expert witness on his testimony on a mutually acceptable and agreed date in December 2014 or January 2015. She saw no reason to allow the applicant to cross-examine the workers of the printing-house. The Applicant is, however, allowed to submit an expert testimony within 14 days. Costs will be awarded at the end of the competing marks proceedings. The date of conception and even the first use of a mark is rarely decisive in a competing marks issue, and scope of actual use and reputation is generally given more weight. The third consideration is equitable behavior and I suspect that the summations will attempt to argue this point in relation to when Sacara thought of the name. Both parties are using arbitrary names that nevertheless recall mascara. I warn clients trying to be cute when selecting trademarks, that they will invariably run into these kinds of difficulties. they rarely listen, which is why these competing mark, opposition and cancellation procedures happen.